Welcome to another rendition of my blog where you will hear incredible stories about our adventures in the Canadian wilderness. 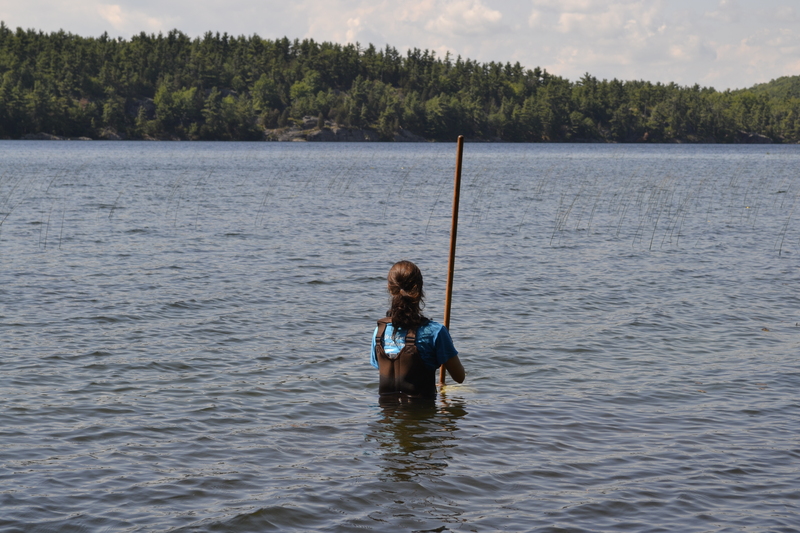 On June 29, a few of us from BIO teamed up with Pinery Provincial Park and the surrounding Ausable-Bayfield Conservation Authority (ABCA) to collect, sort and maintain samples of aquatic and soil invertebrates to help construct the DNA barcode library. 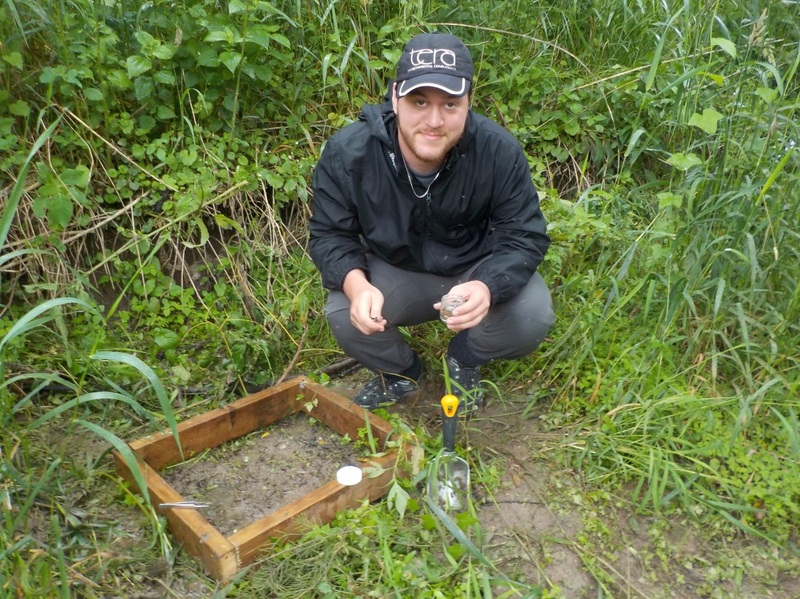 This will allow us to someday assess the biotic integrity of the Ausable-Bayfield Watershed by sequencing the environmental DNA in a water or soil sample. 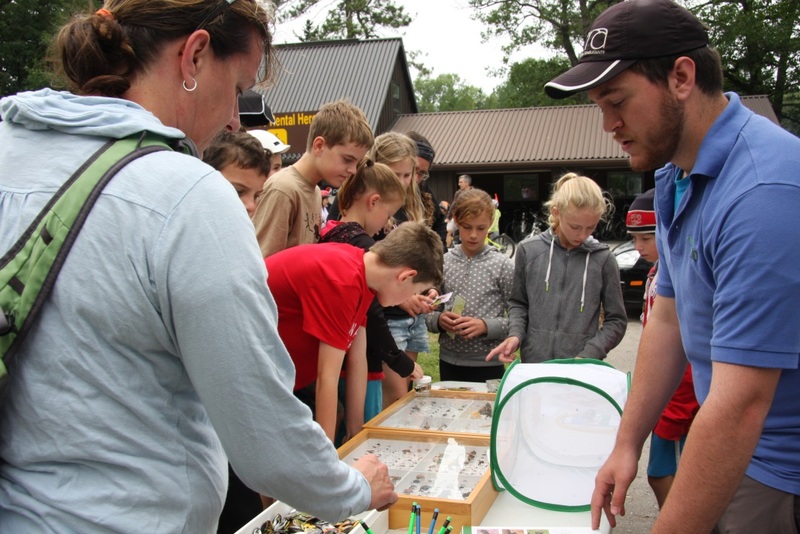 One of the highlights of last week was organizing and leading a fantastic outreach event at Pinery Provincial Park on Canada Day for a large group of enthusiastic children, inquisitive middle-aged adults, and a few retirees who were very interested in our work, especially for their grandchildren. In particular, people seemed to be very excited to learn about our field research vehicle, or better known as the BIObus, our home away from home. In my opinion, I think they were very ecstatic about our insect displays; from the stunning polyphemus moth (Antheraea polyphemus), a giant silk moth in the family Saturniidae, to the daunting tarantula hawk, a spider wasp in the family Pompilidae which parasitize tarantulas. 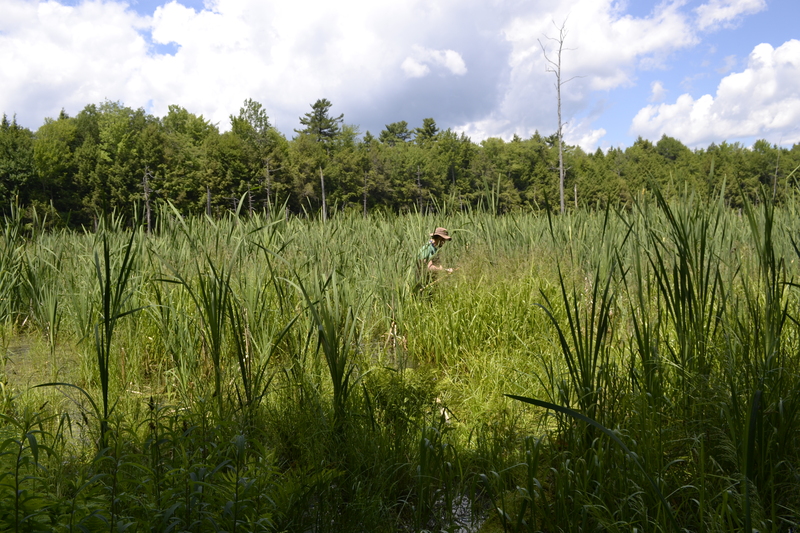 A couple of days prior, I caught a Dolomedes spider while sampling the Old Ausable Channel. Also known as fishing spiders, raft spiders, dock spiders, or wharf spiders, these large semi-aquatic spiders hunt by waiting at the edge of a stream, then when they detect the ripples from prey, whether an insect or small fish, they run across the surface to subdue it using their foremost legs, which are tipped with small claws. Like other spiders they then inject venom with their hollow jaws to kill and digest their prey. 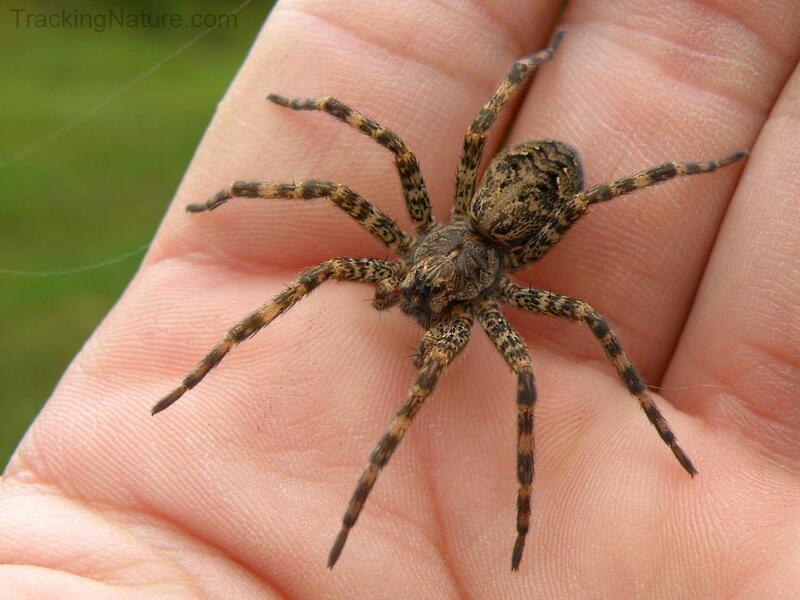 There were many pale faces that day when we revealed that the robust monstrosities of the aquatic invertebrate world, the infamous fishing spider, could be found in the Old Ausable Channel. 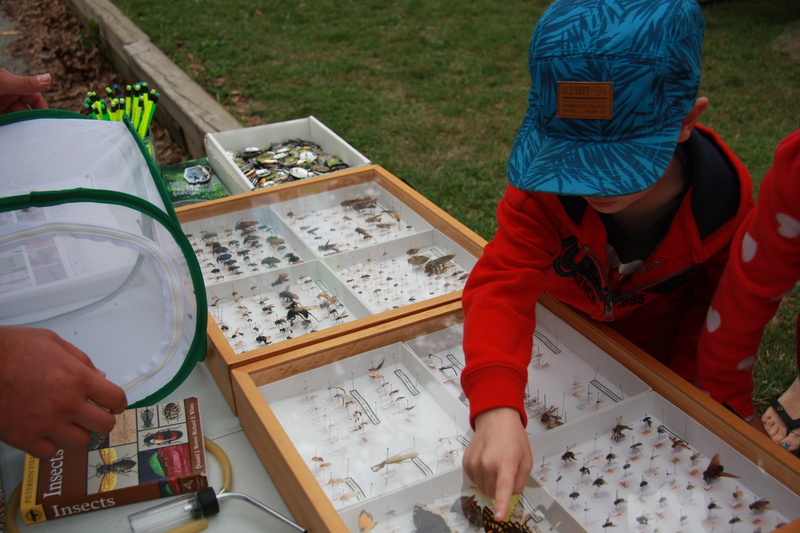 All in all it was a fun and an eventful day, and seeing those future entomologists put a smile on my face. On a side note, I did manage to sneak off for a bit after outreach to explore the Pinery’s rare and fragile oak savanna ecosystem. Pinery’s rare habitats provide shelter and space for 319 different species of birds. 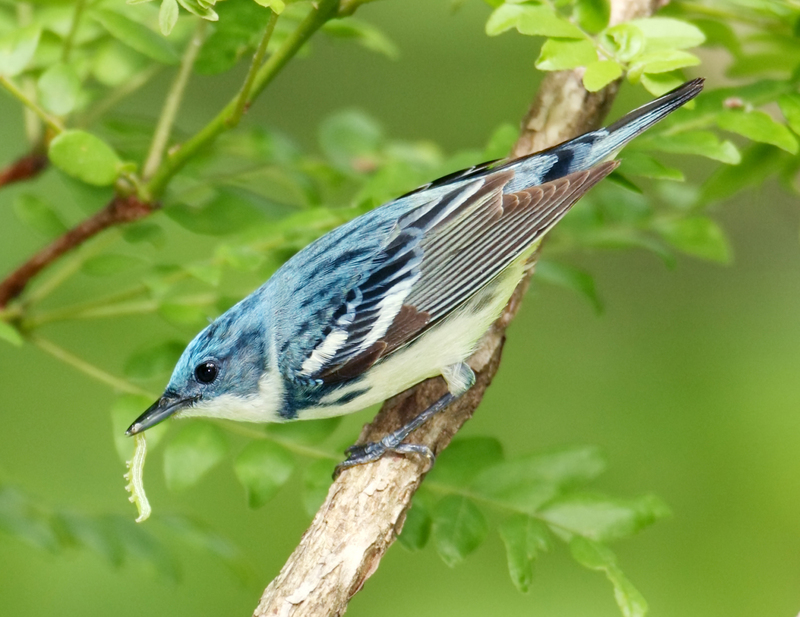 I was very thrilled to have finally found a cerulean warbler (Dendroica cerulean), a small bird of the deciduous forest treetops. Other highlights that afternoon included the Eastern whip-poor-will (Antrostomus vociferous), great crested flycatcher (Myiarchus crinitus), tufted titmouse (Baeolophus bicolor), and hooded warbler (Setophaga citrina), the very first bird I banded during a field survey in Pennsylvania. I highly recommend visiting the Pinery and the surrounding ABCA to all those wildlife enthusiasts! I have just made my triumphant return from the very first BIObus trip of the season! While this trip was a bit shorter than former excursions, we still covered a lot of ground and sampled all kinds of water bodies! In the past, BIO has been more focused on collecting terrestrial invertebrates. 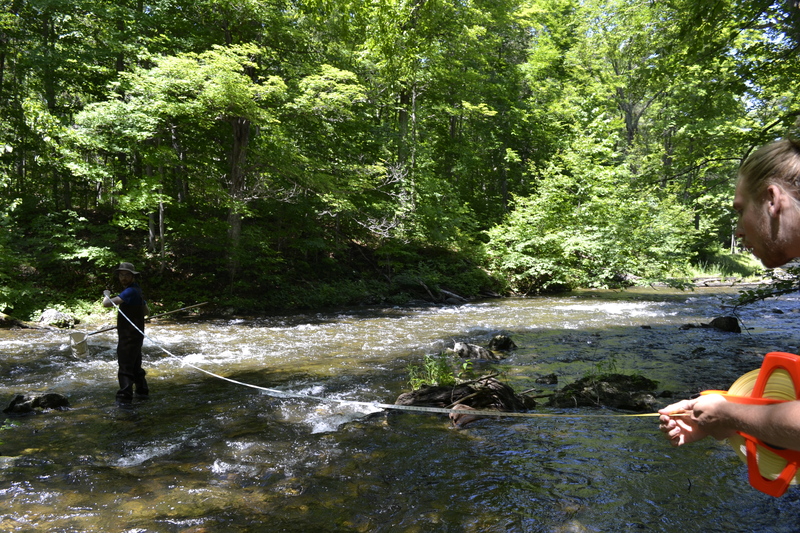 This summer however, we have started a standardized protocol for sampling aquatic invertebrates! I am going to briefly go over some of the techniques we used. Each differs depending on the type of water body in order to maximize the efficiency of the sampling. The first method I would like to talk about is the “Jab and Sweep” method. This is usually used in a wetland area where there is a large amount of muck substrate on the bottom. You jab the sweep net into the muck, pull it out, and then sweep the water above the substrate you just disturbed. After you pull your sample up out of the water, you walk back to shore and wash the contents into a holding bucket. Then there is the “Dancing” method. This is usually used in lakes and streams where there is a smaller amount of substrate on the bottom. It works best when there are small rocks and boulders in the stream so there are lots of invertebrates holding on to them! Then you go out as far as you can into the lake or the stream (usually up to a meter deep). You take a measurement of how far you are from shore, and then you take your depth measurement. Now, if you are in a stream, you face downstream and “dance” to kick up the substrate as you move sideways towards the shore with the D-net in front of you. If you are in a lake then you face away from the shore and “dance” to kick up the substrate as you move backwards towards shore with the D-net in front of you. After you make it to shore you was the contents of your D-net into a holding bucket. There are also two methods we used to collect plankton samples. Both these methods call for the use a motorboat! The first method is plankton towing. You run the boat slowly with a net system towing behind to collect the plankton near the top of the water surface. The second method is the Schindler-Patalas plankton trap. This method is used more often to take the plankton samples deeper in the water body. It takes in the water at the depth you pull it up from and then it closes it off until you pull it back up to empty out the contents. That’s it for this blog. There is a lot of field work going on in the next couple months so keep checking back for new blog posts from everyone on their adventures in the field!